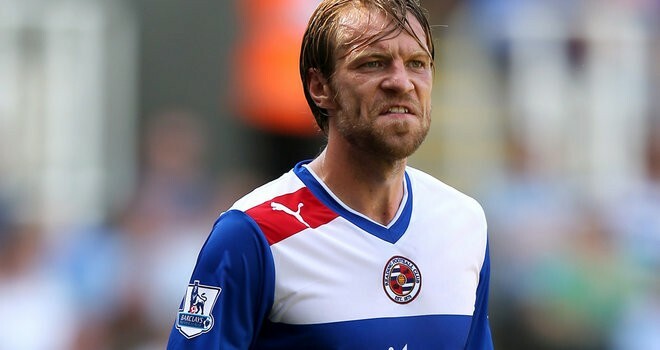 Reading defender Kaspars Gorkss looks set to leave the club on loan this month due to his first team opportunities being limited at the Premier League side. The thirty-one year old was an integral part of the Royals side as they won the Championship last season, although he has found it tough going in England’s top flight, often being caught out due to his lack of pace and positioning. The Latvian International has made a handful of appearances this season before being replaced in the side by summer signing Adrian Mariappa, and falling behind the likes of Sean Morrison and Daniel Carrico in the pecking order. Gorkss has won two Championships in England’s second tier, and would be a strong acquisition for any side, with Leeds United and Blackpool heading the queue for his services. Neil Warnock had the central defender when he was in charge of Queens Park Rangers, before selling him in the summer of 2011 to Reading for a fee of £900,000. With the imminent arrival of Zambian International Stoppila Sunzu, who is set to join the Royals from TP Mazembe, it will allow the defender a loan move away from Berkshire, with a potential permanent transfer being included.